Welcome to Jackson, a great place to live and work. Jackson is a vibrant city where citizen involvement is prized, where progress is our watchword and where our employees always strive to be "at your service." 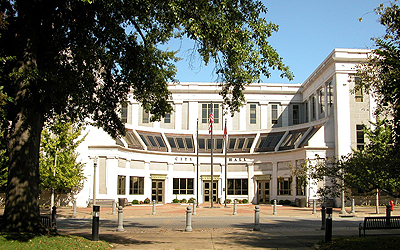 Jackson is located in the geographic and economic center of west Tennessee. The Ballpark at Jackson, an $8-million structure that seats 6,000 for baseball and up to 7,500 for concerts, is home to the Jackson Generals, the Class AA, Southern League affiliate of the Arizona Diamondbacks. Jackson is also the home to Lift Wellness Center, Cypress Grove Nature Park, Pinson Mounds State Archeological Park, Chickasaw State Rustic Park and many great annual events. Also of note are a number of famous Jacksonians. 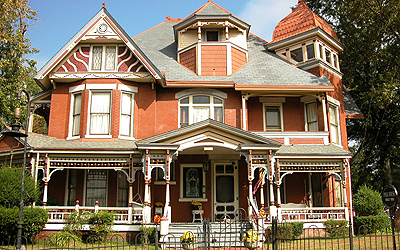 We're home to "Mr. Blue Suede Shoes" Carl Perkins, famed TV game show host Wink Martindale, Dallas Cowboys football star Ed "Too Tall" Jones, screen writer Randall Wallace and others. Jackson boasts a booming economy fueled by industrial growth and expansion, a 1.1 million person 13 county retail base and strong trade and service sectors. More than 10,000 new jobs have been added to the Jackson/Madison County area since 1990! In fact, Jackson can boast of one of the lowest unemployment rates in the state. Jackson ranks in 32nd place in the country in comparative retail sales, #14 nationally for new housing permits and 9th as the most active restaurant market. As you can tell, the Jackson "Golden Circle" area is a dynamic and growing area with many things to offer. Why don't you take a little time and look around here. Let us help you with your real estate needs.